— New York Times - Because the computer mice Microsoft makes are true innovations. Meebo Messenger is going away. Bad enough that they were bought by Google, but now, the best multi-IM client is simply being shut down. sigh. Is the New iPad Carrier Unlocked Internationally? It is seemingly impossible to get a straight answer from Apple on this question. I actually called AppleCare this morning and the guy directed me to a representative from AT&T. I know that LTE coverage is locked to the carrier you choose at purchase time, but as far as I know, the iPad 2’s 3G coverage was not carrier locked. The answer is the third generation tablet from Apple will be unlocked but still is locked with some networks for 4G LTE. If you have 4G LTE facility in your country, you need to buy the iPad 3 which works on your carrier. But, if your country doesn’t support 4G, you don’t need to worry about this since all the New iPad’s will work universally on 3G. So who knows. I haven’t found anything in Apple’s own material that describes the rules around this (perhaps because it is complex), but I am hopeful I’ll be able to use the French SIM I just purchased in the iPad as well as my unlocked iPhone 4. I can’t believe I’ve had an account with any internet service for that long. That is bonkers. Recruiter mail merge fail - This is what I see in my inbox right now. Ancestry.com makes its money off the older set. People don’t usually get interested in researching their family history until they are much older. But I think most engineers should consider signing up themselves. The sheer amount of raw data available staggering, and the problem solving possibilities are endless. Here’s an example: I knew that my great grandmother’s maiden name was Mathis and that my grandfather had a cousin named Sydney. When researching records, I found the 1930 census record of them living in Queens. It shows them living in the same house as a family named Mathis, with a son named Sydney. So, they were living with their cousins, which opened a whole new lineage for me to research. The ah-ha moment is exhilarating. On Monday, the 1940 census will be released to the public (individual records are kept sealed for 72 years). It is an exciting time for the genealogy community because it opens up a tremendous amount of new data. I’m hoping to find new connections to family members I don’t yet know of. I’m hoping to find information about some great-grandparents who seem to have slipped through the cracks of the 1930 census. Moreover, I’m really just looking forward to finding something totally unexpected. A co-worker once asked “Why do you care?” I didn’t know how to answer, because I’m not sure why. But once you start digging through old records, discoveries become addictive. So I encourage any engineer to take advantage of a two week free trial on Ancestry.com, and see what they can achieve with that much data. 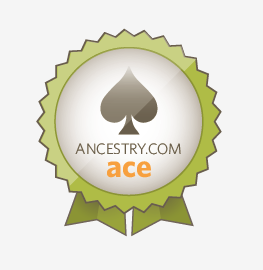 I should probably mention that I own a small amount of Ancestry stock. I invested in it for the same reason I invest in any company, because I like their product. Apple may not need a bold overhaul of the look of its tablet computer to attract waves of new buyers. Right, quadrupling the resolution, slapping in a high quality camera, putting in a faster processor and maintaining battery life & price points is no big deal, because the outer shell didn’t change. This is a bold overhaul! While the updated iPad lacks any radical changes, it appeared to meet the expectations of tech pundits and Apple fans who have been following the rumored features for weeks and who, as usual, cheered throughout the event. Starting to pick up a theme here. Seems as if the mainstream press doesn’t get that something is different unless it looks different. I captured a screen shot showing the results page as it appears on a notebook with a 1366 x 768 screen—one of the most popular display resolutions available today. […] There is only ONE actual search result on that entire page. Gmail users are accusing the search giant of accessing their contact lists and sending spam emails to contacts with non-Gmail email addresses. I still haven’t closed my Google accounts yet, for fear of losing something I need, but with the way Google is speeding up their rampant abuses on users, I really need to get on that. When our CEO called for a mandatory company wide meeting in five minutes, I knew something bad had happened. Jake, a young, smart, rising star product manager at SecondMarket had passed away. I interviewed Jake for an entry level position about a year ago, and he really impressed me. He was mature beyond his years and confident, but not overly so. His role wasn’t going to be major: handle the WordPress site, and be an understudy to the product owner. Wow did he grow quickly. Within six months, he was the product manager of the consumer team. I once asked the lead engineer of that team: “If you could work on any of the products here at SecondMarket, which one would you choose?” His response was “Whichever one Jake is working on.” And this is a guy who has worked at five or six start-ups, with a lot of great people. I’m not going to claim that I was super close with Jake, but he was friendly, smart, hard-working and funny, and I will miss him both personally and professionally. SecondMarket as a whole is mourning today, and will be for some time to come. Sincere condolences to his family and friends. Jake will be missed by all who knew him. Lower Manhattan, as seen from my bedroom window. One World Trade Center (left) is going up at a rate of one story per week and was 92 stories tall on February 17th, one week ago. That puts it at 93 stories, 12 shy of its final height (not to mention the spire). This thing is awesomely massive. When my wife and I moved into our cobble hill apartment, we could see just the tops of Manhattan’s buildings. Now, with the Gehry building and 1WTC coming into its own, we have a phenomenal view. I saw this ad on the subway this morning. Now Google is targeting me offline! Hello David. What’s your name again? Imagine having to reintroduce yourself to your friends every time you met them. Your name. Your age. Where you’re from. It would take forever, wouldn’t it? All you wanted was to catch up over a cup of coffee. This is why websites, including Google, use tiny crumbs of stored information (called cookies) to remember your previous visits. That way you don’t have to repeat yourself every time you go back. But it’s good to know that if you don’t want sites to remember your details, you can clear your cookies in your browser settings. Going to war with your customers should be a sign that you’re doing something wrong. I’m looking at you New York Sports Club (NYSC). If you want to watch television while you work out at NYSC, your headphones must be plugged into the remote control’s audio jack. If you turn on the TV without headphones plugged in, it will quickly shut off. I’m pretty sure this was done to save money on electric bills because before this was implemented, most TVs were always left on. Voila, the TV is on, and it won’t go off. Until recently that is. Over the last year, NYSC has been installing a tamper proof lock on their remotes such that you cannot unplug the remote from the television. Have the auto-shutoff kick in after 15 minutes instead of 15 seconds. I wouldn’t mind having to turn the TV on once or twice a workout. Instead, they have chosen to make their customers feel like criminals, locked out of working out the way they want to. The only other Google service I use that I haven’t mentioned is Google Analytics. As it turns out, there are plenty of great alternatives to Analytics that do everything I need. I chose Piwik. It was easy to install (especially with Dreamhost’s one click install feature) And it was easy to upgrade. You just click a button in the UI, and Piwik upgrades itself. A single Piwik install can provide analytics on multiple sites. It has good graphs for all of the relevant metrics and provides any information you could want. It doesn’t have nearly the reporting tools that GA provides. But all I’m using it for is to get a snapshot into how my blog and other properties are doing. I can live without advanced reporting. The only criticism I have is speed. It’s a bit sluggish. This has been a common trend for all of the Google alternatives. But it isn’t hampering my usage, so I’m overall pleased with the switch. The only thing I haven’t done yet is close my Google account once and for all, but I’m still waiting to see if I’ve forgotten anything and need access to my accounts.